April 12, 2018. Researcher of the GC RAS Laboratory of Innovative Projects O.O. 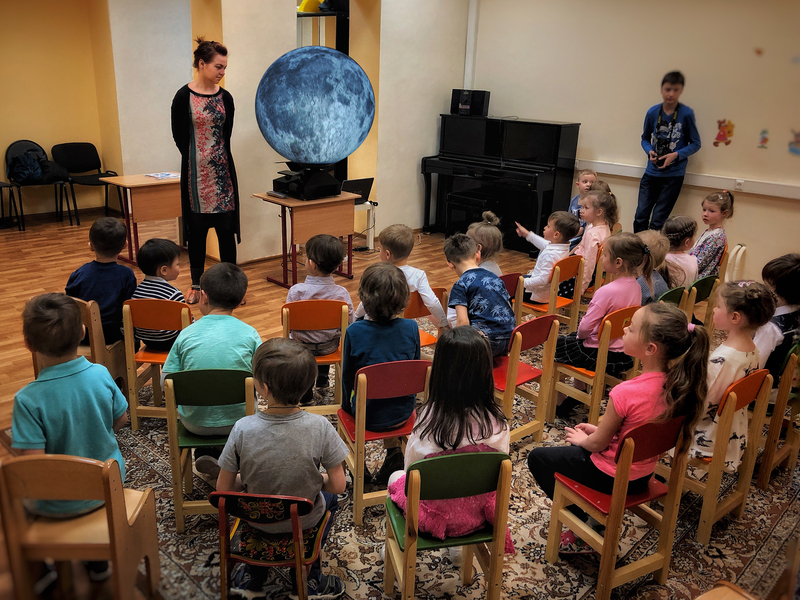 Samokhina delivered interactive lectures on astronomy at the Moscow Creative Children’s House using a digital demonstration complex with a spherical projection screen. Lectures were devoted to the day of Cosmonautics and were held in the House of Children's Creativity (HCC). The listeners were children between the ages of three and seven. Based on the results of the lecture, a Letter of Gratitude was received from the administration of HCC, noting the innovative technologies and professionalism of the presentation.